Location: East side of Station Road at its end on junction with Kirby Lane. The station buildings can be found on the left just before a Farmway shop. Present state: The station house and buildings have been converted to offices for P & HS Architects. A substantial goods shed together with feed store are extant and are in use by a builders merchant (Jewson). The signal box has been moved across and along the road to a new site in the garden of a house. The rest of the station site is occupied by commercial premises. 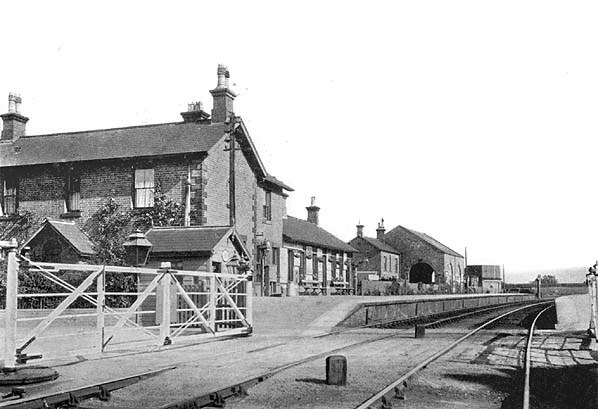 Notes: Stokesley Station opened with the Picton - Battersby line on 3rd March 1857. 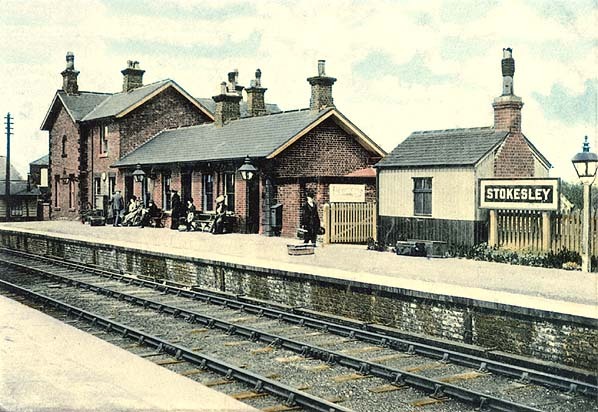 The station had two platforms, the eastbound platform with the main station building, an open brick waiting shelter and the two storey stationmaster's house on the eastbound platform and an open brick waiting shelter on the westbound platform. 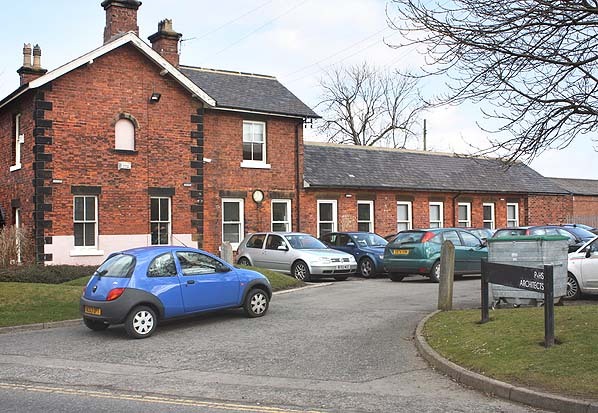 Stokesley had one of the bigger goods yards on the line sited behind the eastbound platform comprising four sidings one serving a substantial brick built goods shed and adjacent animal feed store, another serving a cattle dock, and another serving coal drops. The station also had a 1 ton crane. A signalbox for controlling access to the crossing and goods yard was sited at the end of the eastbound platform adjacent to the crossing. 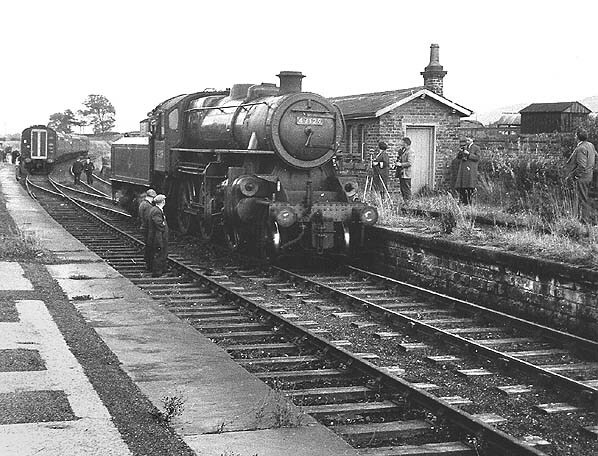 After closure to passenger traffic in 1954, the station remained open for goods traffic until 2nd August 1965; by this date the track at the west end of the line had been lifted so access was only possible from Battersby. The Picton and Battersby line was part of the Esk Valley route. This was a branch of the Leeds Northern Railway that connected Northallerton and Stockton. The Esk Valley route connected Picton and Grosmont where it joined with the Malton to Whitby line, now maintained and operated by the North York Moors railway as far as Pickering. The section from Battersby to Grosmont is currently used by Middlesbrough – Whitby trains, and occasional steam workings to and from the North York Moors Railway. The Leeds Northern Railway and the West Hartlepool and Harbour Railway jointly promoted the Esk Valley route with the prospect of exploiting traffic in the movement of ironstone from the mines that were developing in the area. day. The line was soon producing two trainloads each day for onward working to the iron making facilities in Stockton. The section between Stokesley and Ingleby was opened on 1st February 1858 and this was further extended to Ingleby Junction (now Battersby) on 6th April 1858, where it joined with the private narrow gauge line from the Ingleby Manor mine, and then continued as far as Kildale. On 31st July 1854 the Leeds Northern Railway became a constituent company of the amalgamation forming the North Eastern Railway. The North Eastern Railway took over full control of the North Yorkshire and Cleveland Railway in 1859. The North Yorkshire and Cleveland Railway had planned a branch from Ingleby Junction to ironstone mines at West Rosedale and had agreed to upgrade the narrow gauge railway as part of the route. The North Eastern Railway took over the project and completed the line for its opening on 27th March 1861. This included a double track rope operated incline 1430 yards long. The Kildale to Castleton section opened. On 1st April 1861 with Commondale and Castleton stations coming into use. An ironstone mine was opened at Commondale in 1863 and local blast furnaces were planned. However the poor quality of stone made winning it unviable, so the plans were not realised and closure was inevitable. The Esk Valley line was completed between Castleton and Grosmont and was brought into use on 2nd October 1865 along with the intermediate stations of Danby, Lealhome, Glaisdale and Egton so joining up with the existing Whitby and Pickering railway and providing a through route between Stockton and Whitby. A number of mines opened in the Kildale area between 1865 and 1872 but each had a very short working life. All had been abandoned by 1876. 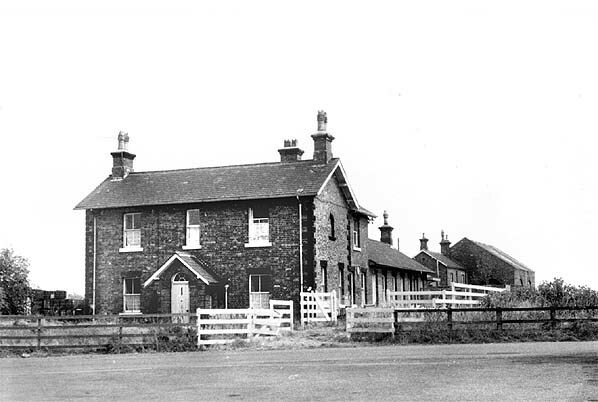 On 1st April 1868 Great Ayton station opened on the link between Nunthorpe and Ingleby Junction, and a passenger service was started between Middlesbrough and Ingleby Junction. In 1878 Ingleby Junction was renamed Battersby Junction and in 1893 it was condensed to Battersby. 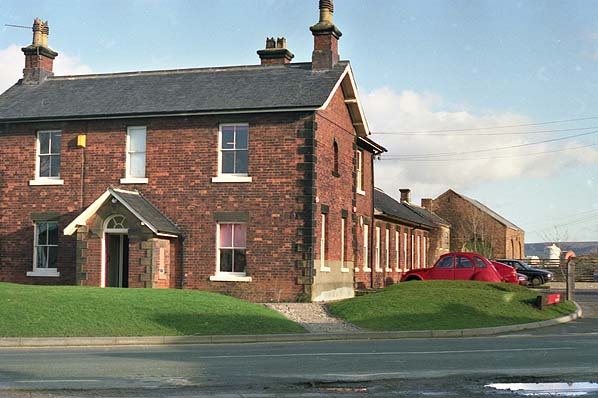 Ailesbury Mines were closed in 1887 and following abandonment of the mines the Swainby branch closed in 1892. The course of the line can be discerned to the south east of Potto station and an embankment can be clearly seen near the village of Swainby alongside the A172 road . reversed at Battersby and ran to Stockton by way of Nunthorpe and Middlesbrough. Passengers for Picton were provided with a connecting train from Battersby. Following subsidence of Kilton Viaduct between Whitby and Loftus the structure was closed to traffic between 1911 and 1913 and the viaduct was buried to form a new embankment. During these works ironstone traffic from the Loftus area mines was routed to Teesside by way of Whitby, Grosmont and the Esk Valley line. By 1926 the ironstone business at Rosedale had dwindled to one train per day and closure of the mines took place. However the waste from the calcining process was found to have value and this waste was transported off the moor. Closure and abandonment of the Rosedale branch followed in June1929. This left the Esk Valley route with only a limited passenger and local goods service. On 23rd July 1930 the line was closed by the collapse of a stone bridge over the River Esk near Glaisdale. It remained closed until 25th May 1931 whilst a replacement girder bridge was installed using the existing abutments. Three months later the replacement bridge fell into the river following the collapse of one of the abutments. A new pier was constructed in the middle of the river to provide for two spans. The existing girder was raised to form one of the spans and a second girder was used to complete the crossing. The line reopened once more on 27th August 1932. Picton to Battersby was double track and following decline of the ironstone traffic and limited passenger business such facility was not necessary. In the early 1940s track use between Ingleby and Picton was rationalised and the line was operated as a single line between these places. All traffic west of Ingleby used the eastbound line only which was regulated by the staff and ticket system. The westbound line remained in situ and was used for wagon storage between Picton and Trenholme Bar until 1971. There was a trailing crossover for west bound trains at Ingleby which was inconvenient since it required west bound trains to pass over this crossover, then set back onto the other track before continuing the journey towards Picton on the “wrong line”. It has been said that wagons that had been in storage for many years were difficult to remove before the track could be dismantled. The process of removal took many months. Stockton to Whitby and two trains worked from Middlesbrough to Whitby via Battersby. There was a fourth train from Stockton to Battersby allowing a connection with one of the through Middlesbrough to Whitby trains. 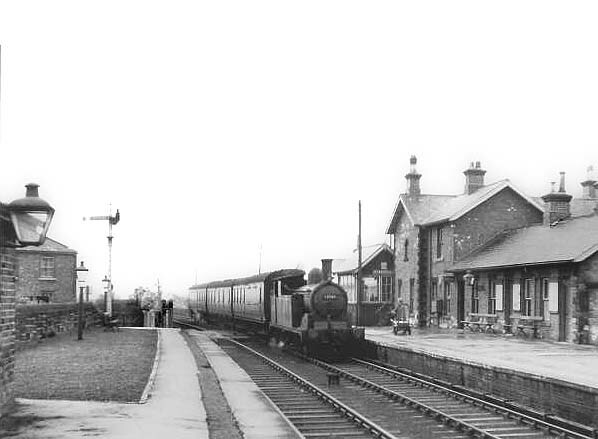 The passenger service was withdrawn west of Battersby on 12th June 1954 but all stations except Ingleby remained open for freight traffic. 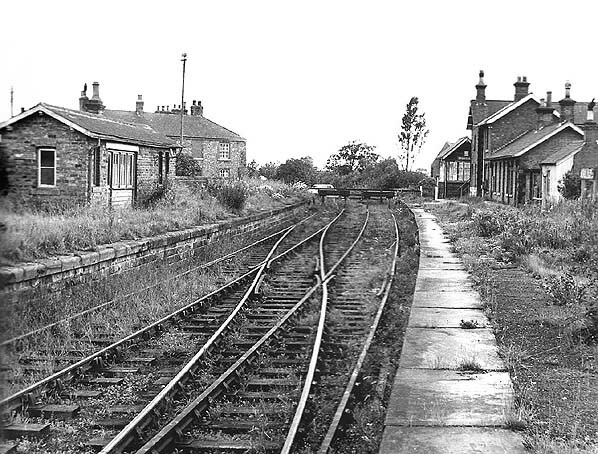 The track between Stokesley and Picton was lifted in the early 1960's. All trains to and from Teesside worked by way of Nunthorpe with trains from the Grosmont direction reversing at Battersby. Introduction of DMUs in May 1958 made operation at Battersby considerably easier. Closure of the coast route in 1958 between Whitby and Loftus resulted in an increased passenger working along the Esk Valley route with up to 15 daily workings in each direction. Picton closed to passenger traffic on 2nd January 1960 and Stokesley and Ingleby were completely closed on 31st July 1965. Picton, Trenholme Bar, Potto, Sexhow, Ingleby & Battersby.